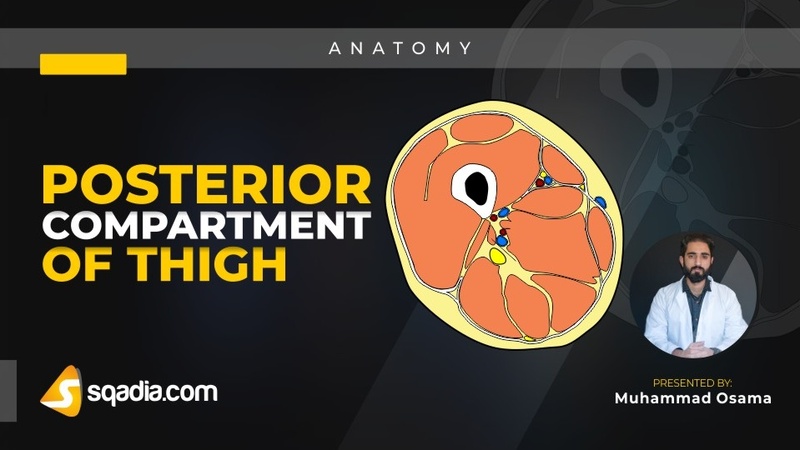 Posterior compartment of thigh is the region approximated between hip and knee joints. Posteriorly, thigh is continuous with gluteal region. Muscles of the posterior compartment of thigh are referred as hamstrings and consists of semimembranosus, semitendinosus, and biceps femoris. The nerve innervation of the hamstrings is by the tibial division of the sciatic nerve. The short head of the biceps femoris is supplied by the common fibular nerve. The arteries that supply the posterior compartment of the thigh arise from the inferior gluteal and the perforating branches of the profunda femoris artery. 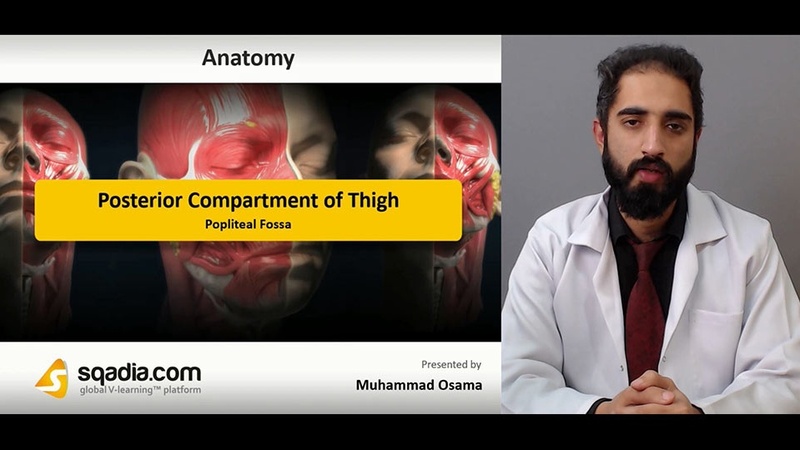 The area of transition between thigh and leg is the popliteal fossa. It is the major route by which structures pass from one to another region.